Meets Canadian Standards Association (CSA) approvals. 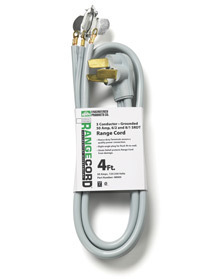 Meets the requirements of the 2017 National Electrical Code: Articles 220.55, 422.16(B)(3)(4) and 422.33(A) and (B). 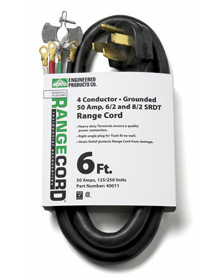 Heavy-duty terminals ensure an excellent power quality connection. 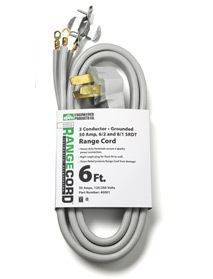 Right-angle plug for flush fit-to-wall. 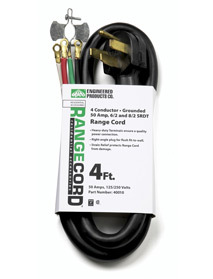 Strain Relief protects Range Cord from damage.